David Martz, MD is the 2011 recipient of the Invisible Disabilities Association Research Honors Award. Dr. Martz has been chosen based upon his extensive ALS-Motor Neuron Disease and Lyme disease research as a physician and a board member of the International Lyme And Associated Diseases Society (ILADS). Born out of his personal experience with ALS, Dr Martz has a passion to discover possible treatments for patients living with these illnesses. The International Lyme and Associated Diseases Society (ILADS) is a nonprofit, international, multi-disciplinary medical society, dedicated to the diagnosis and appropriate treatment of Lyme and its associated diseases. ILADS promotes understanding of Lyme and its associated diseases through research and education and strongly supports physicians and other health care professionals dedicated to advancing the standard of care for Lyme and its associated diseases. ILADS provides a forum for health science professionals to share their wealth of knowledge regarding the management of Lyme and associated diseases. Above Video of Dr. Martz sharing his personal battle and ground-breaking research at the 2011 IDA Awards Banquet, where he received the Research Award. 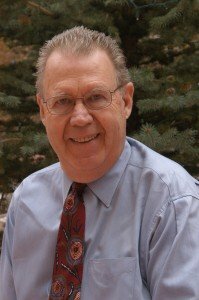 Dr Martz is a community physician who practiced Internal Medicine-Hematology-Oncology in Colorado Springs for 30 years (1970-2000). He has been an assistant professor of clinical medicine at Colorado University Medical Center in Denver for over 20 years, and a member of the Admissions Committee for over 10 years. He was also the 1994-1995 President of the Colorado Medical Society. symptoms of arthritis, total body pain, and profound fatigue. Traditional Lyme tests were repeatedly negative, but after 9 months he was found to have the DNA of Borrelia – the Lyme bacteria – in his system. By that time he required assistance in dressing, arising from a chair, rolling over, and climbing stairs. He could walk about 100 feet and stand about 5 minutes. Atrophy of leg and shoulder muscles was obvious. A definitive diagnosis of ALS was confirmed by his academic neurologist and his life expectancy was estimated at about 2 years. Based on the evidence of the positive test, a Lyme-focused doctor started him on extended complex antibiotic therapy, and the response was dramatic. Within 2 weeks the arthritis and body pain had resolved permanently. At 1 month his stamina had improved from 30 minutes to 3-4 hours. By 2 months he could cross both legswithout help, and by 3 months he could arise from a chair without assistance. At 12 months he was functioning at 60-70% of baseline strength and stamina, and all clinical signs of ALS-MND except muscle atrophy and weakness had resolved. Currently – eight-plus years after onset of ALS symptoms – he remains functional at 60-70% of baseline strength and stamina, but with incomplete resolution of the muscle atrophy. A clinical study of 850 patients treated with extended antibiotic therapy for “Chronic Lyme Disease”. Dr Martz is deeply grateful for his own unique reprieve from ALS, for the opportunity to explore application of his personal experience in a clinical research setting, and for the privilege of sharing that experience with the IDA community. Dr. Martz has retired from his practice, the Rocky Mountain Chronic Disease Specialists clinic in Colorado Springs, CO. Since then, Creek Trail Medical Clinic, Inc opened its doors in 2008 to continue the work of Dr. Martz.